Who goes ahead and asks me out regardless of how bleak the chance that I will say yes is.Who is not afraid to be mad at me if I am wrong. Truth be told, I am wrong a lot. I just need to be kept in line. Who makes me laugh. 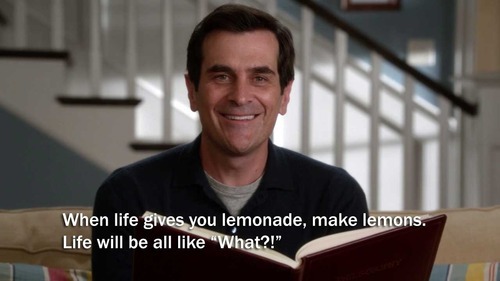 I blame my dad for making me think that one quality a man should have is humour; Phil Dunphy too. Who says sorry when he’s wrong. I will say sorry when I am wrong too. Who makes me feel worthy. I know I am already but, trust me, girls thrive on positive feedback. Who does not see me as another girl to have ‘fun’ with then dump. I am not saying you should be thinking of marrying me. No. Don’t start something if you see no future. Who appreciates that I’ll never be that perfect non-existent woman of his dreams. I already know you will never be Prince Charming from the fairy tales. But you will be my Prince Charming. Who loves me as Jesus loves me. I know that is too much to ask. Chances are, I’ll also love you conditionally. But we can try to take some notes from He who loved us before we even knew about it. Who acts like it. You’re a man, not a boy. Man up! Act like you know!